The latest news from <a href=”http://www.energy-uk.org.uk/” rel=”noopener” target=”_blank”>Energy UK</a> is that more than 660,000 customers switched their electricity supplier in February 2018; a 60 per cent rise on February 2017. This is the highest number yet, according to industry figures, which reference both home owners and business customers. The trade association also said that the figure continues to rise, as over a million customers have switched so far (12 March) this year. Energy UK cited one reason as the cold weather during the month, and another reason for the record number of switchers as the publicity campaigns by suppliers and switching websites. <em>Read between the lines:</em> businesses want to save money! Interestingly, a fifth of the switches in February were away from the so-called Big Six energy firms to smaller or mid-sized suppliers, and according to Ofgem; the biggest savings are achieved by moving from the expensive standard variable tariffs to cheaper fixed-term deals. Like so many other businesses, are you thinking about switching energy supplier in order to save money? Fortunately, recent changes to legislation mean that this switching window (and the rules surrounding it) has been altered, giving businesses more leeway. The new rules mean switching windows have effectively been abolished. As such, businesses are free to inform their current supplier that they’d like to switch – and free to arrange that switch – at any point from the beginning of a contract up to 30 days before it expired (the notice period, mentioned above).  What’s more, the process of rolling businesses onto more expensive contracts – and tying them into these contracts if they hadn’t arranged a switch or renewal – has been stopped. To take full advantage of these freedoms, read “<a href=”http://www.moneysupermarket.com/gas-and-electricity/business-energy/switching-supplier/” rel=”noopener” target=”_blank”>Switching your business energy supplier</a>” and contact the CH Systems team on 0208 302 8149 or <a href=’ma&#105;lt&#111;&#58;&#37;69&#37;6&#69;fo&#64;&#99;&#104;sys&#116;%65m&#115;&#46;c&#99;’>&#105;nfo&#64;ch&#115;ystems&#46;cc</a> if you have any practical energy queries relating to your home or business. 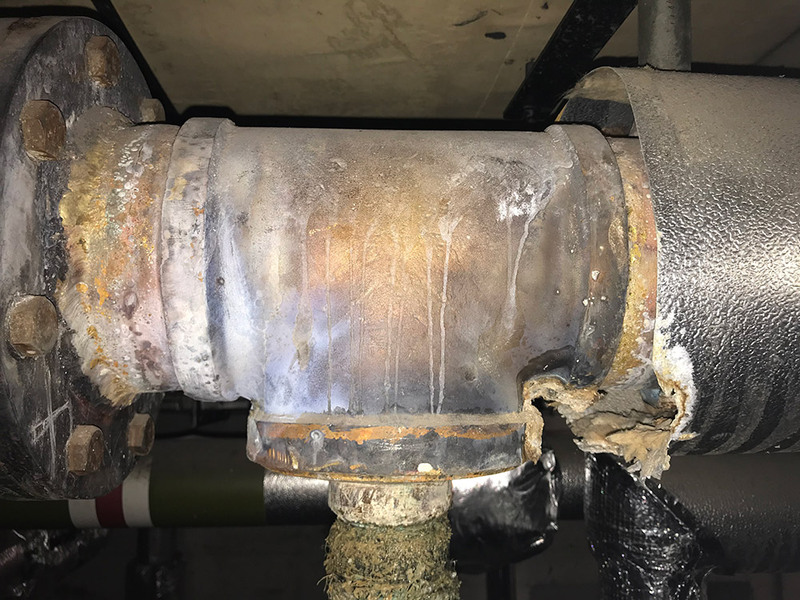 A small but interesting job was a project at the Old Ship Hotel in Brighton, whereby we repaired a leak originating from a leaking 6-inch brazed fitting that was not repairable. 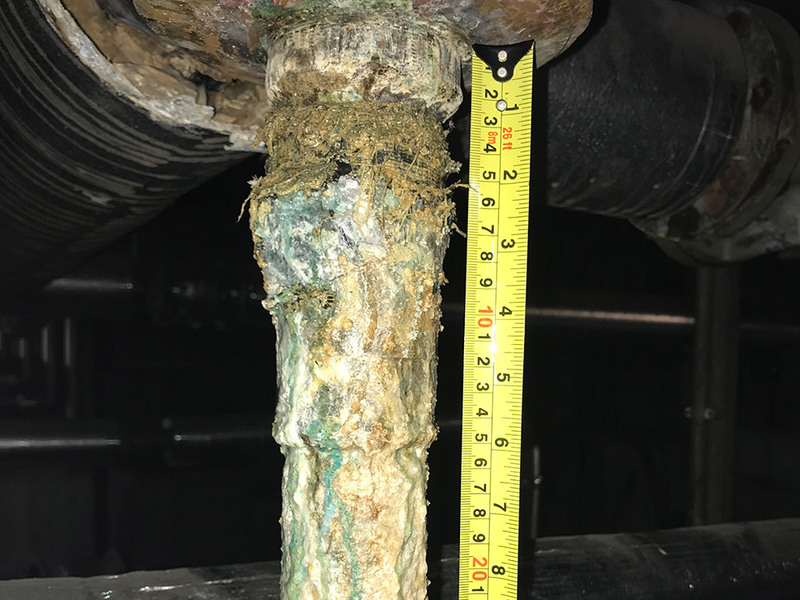 Our Engineers fabricated and replaced a new section of customised pipe including two tees and Straub Couplings. 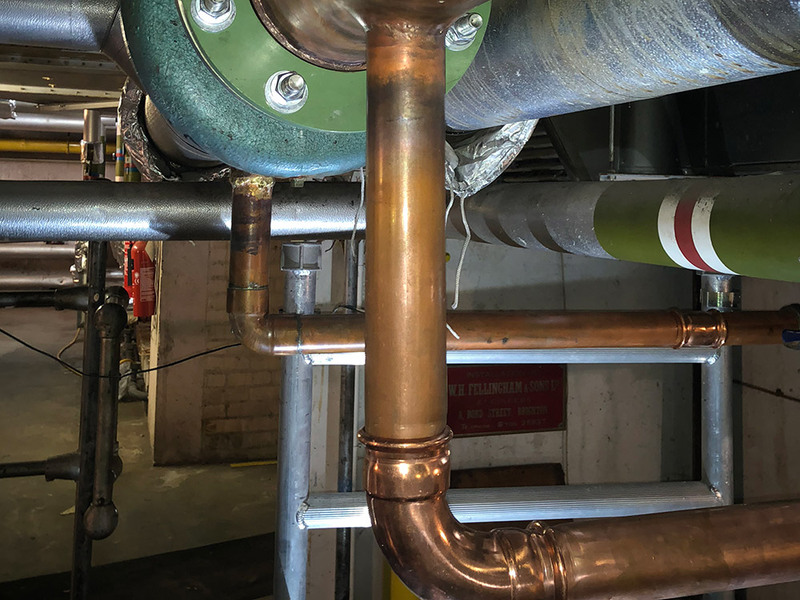 Our freeze team attended site and used liquid nitrogen to freeze the old, corroded pipework (due to the leak), which enabled us to replace it with brand new copper pipework. 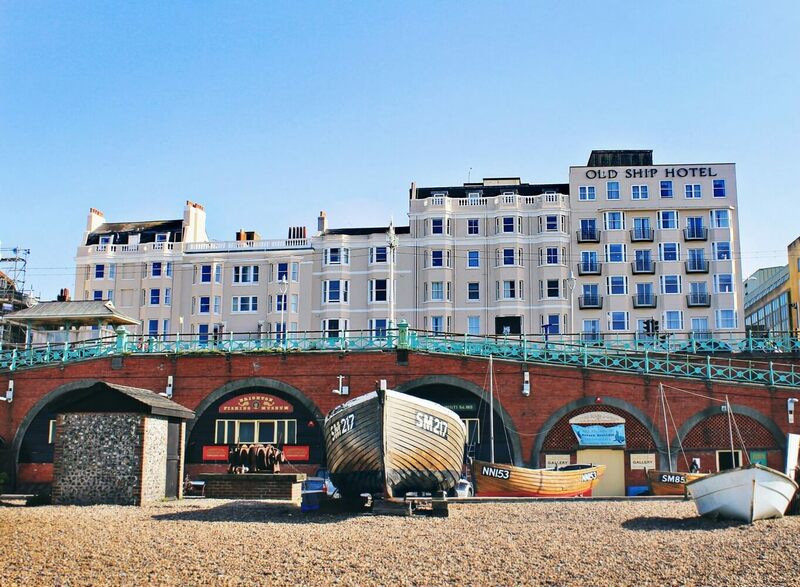 We carried out the work during daytime hours to minimise the disruption to the hotel. The team is really proud to have been able to rectify the faults with no effect to the hotel’s business. 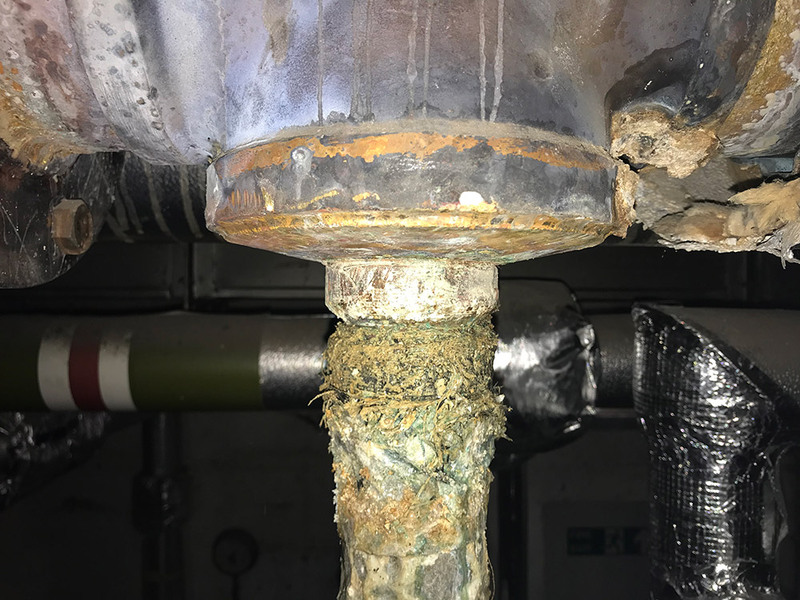 Below are some images to show what the project entailed and what our work looked like once we’d completed the repair. 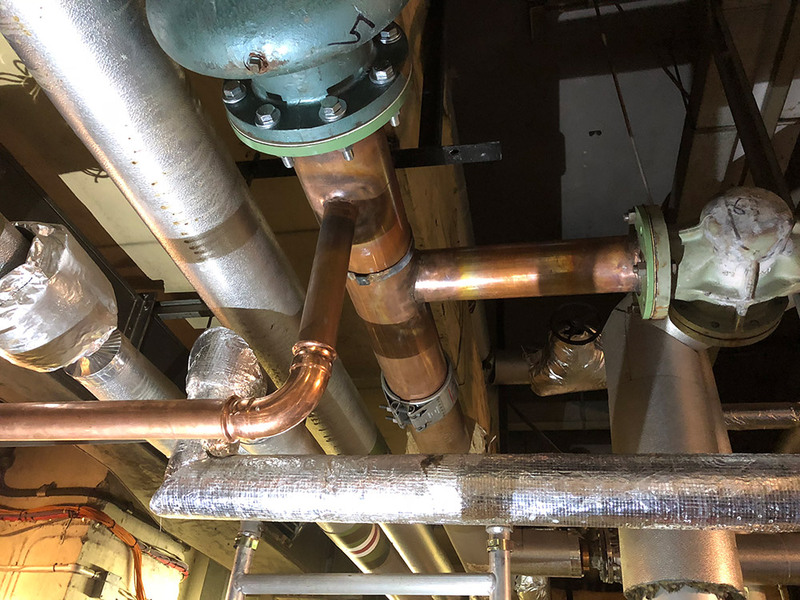 If you’d like further information on our involvement with the Old Ship Hotel, feel free to contact the CH Systems team on 0208 302 8149 or info@chsystems.cc.